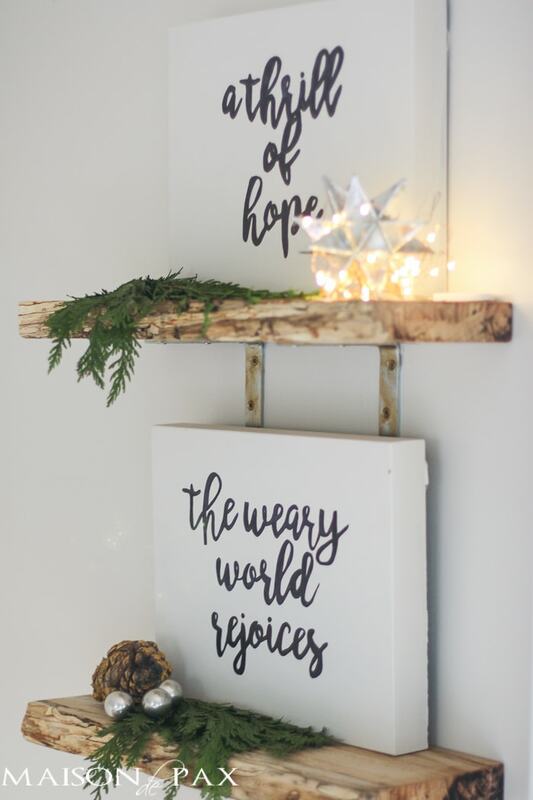 Love easy and affordable Christmas decorations? 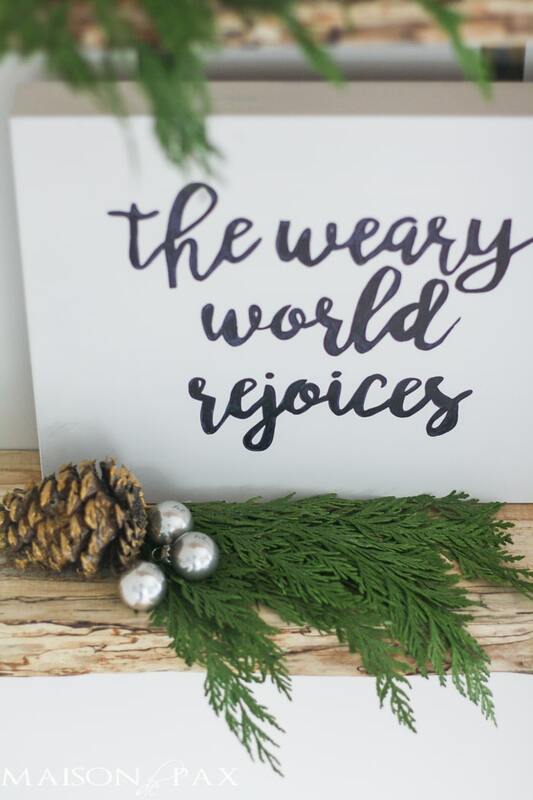 Try these TWO free Christmas printables to foster praise and thanks this Christmas season. Y’all. 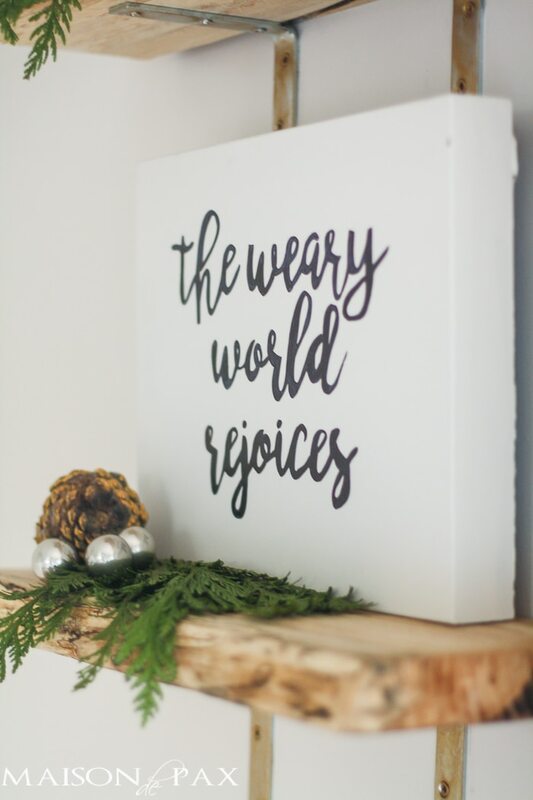 I am seriously feeling all the feels about today’s post. Let me explain. 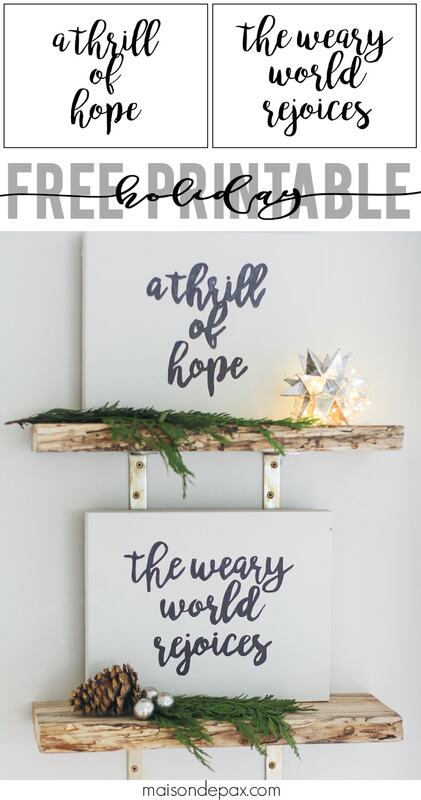 I have this amazing, wonderful friend (in fact, I even let her share her awesome bathroom makeover on the blog a few months ago)… And she was inspired by two of my Christmas projects I’ve shared: a Weary World Rejoices sign and a Thrill of Hope printable. But she wanted the two to go together on some gorgeous little pecan wood shelves she had recently made… And this was born. I say it makes me feel all the feels for two reasons: first, (and I’ve told you this before) it’s my favorite Christmas song. 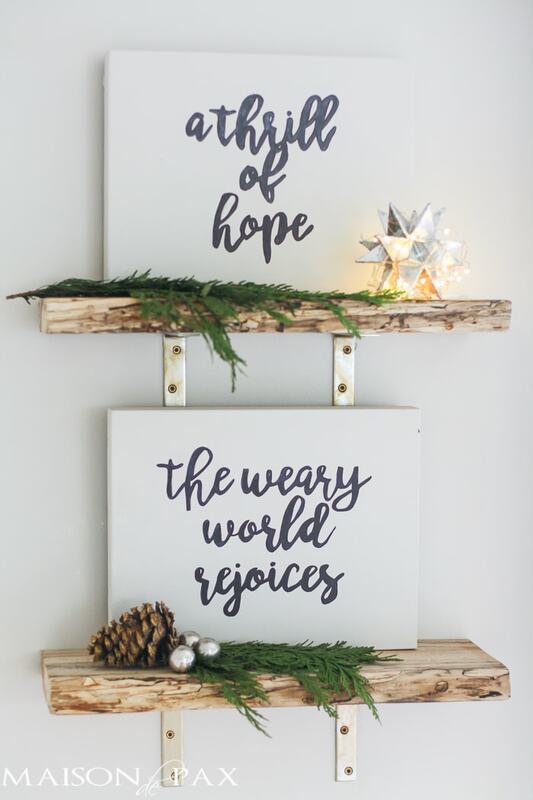 It makes my heart worship to sing these words and remember the hope and anticipation of the coming Savior. Second, this is exactly why I love this job. 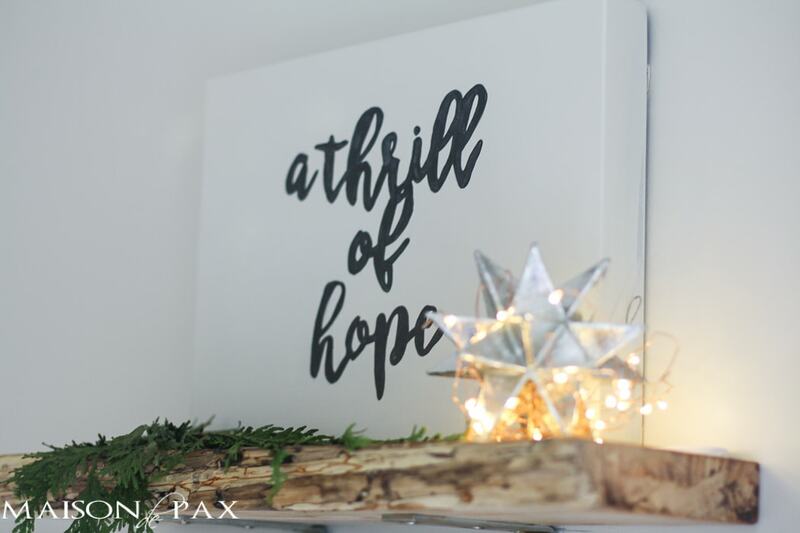 It allows me the privilege of not only helping others to enjoy peace in their homes but to inspire their creativity… And what an honor that is. So, I’ve gotten her permission to offer this as a free printable for you! If you’d like to print, frame, and pair this inspiring line, go for it! The files will print on normal letter sized paper and can be trimmed for an 8×10 frame if you desire. PS if you love those adorable copper string lights as much as I do, you can find them (affiliate link) here. absolutely love this! It is also one of my very favorite Christmas songs! Thanks for the Printables! 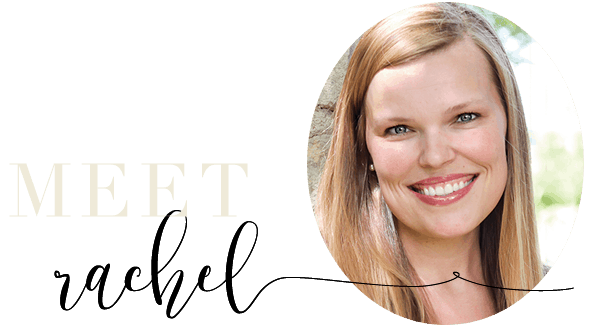 You are so welcome, Mary Beth! You are so welcome. I’m so so glad you are enjoying it!